You are going to Watch RWBY Volume 2 Episode 1 online free episodes with HQ / high quality. 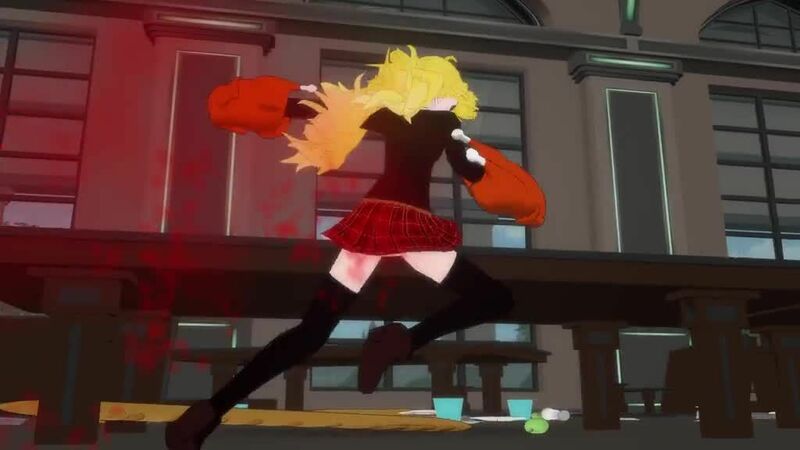 Stream cartoons RWBY Episode 11 Online Emerald and Mercury, associates of Torchwick, visit a bookstore and assassinate its owner, a Faunus who has deserted the White Fang. Sun visits Beacon intending on introducing his teammate Neptune to Team RWBY. The two walk into the cafeteria, where Team RWBY and Team JNPR have a food fight. While all of her teammates are defeated, Ruby wins the battle using her super speed. Glyndia, furious, marches in and completely rectifies the damage they have done; but Ozpin arrives to stop her from reprimanding them, reminding her that they are still children, though he hints that they will not be able to enjoy that position for long. Meanwhile, Emerald and Mercury meet up with Torchwick; their meeting is interrupted by Cinder Fall, who announces they are finished stealing Dust and will go ahead with the second phase of their plan.